This stall seems to be in all the new Food Republic’s that are being incorporated into mall renovations. Causeway Point has one, Parkway Parade has one, etc, etc, etc. So I decided to find out what it was all about. 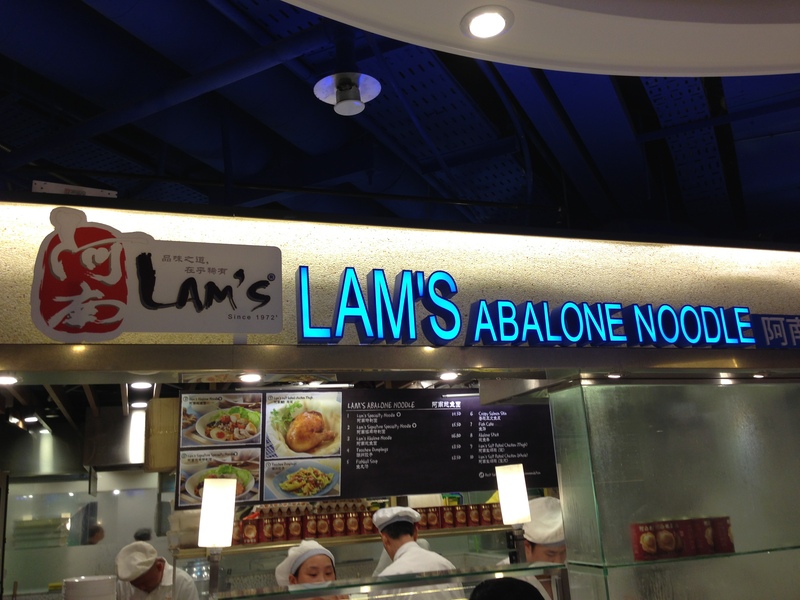 Now, interestingly enough, even though the place is called Lam’s Abaolone Noodle, it is actually the third thing on the menu list, and it is not marked with a “Chef’s Recommendation”. I find that truly interesting. The Top Two items are “Chef’s Recommendations” and those are Lam’s Signature Noodles and Lam’s Special Signature Noodles. The difference? The Special has a Prawn. Whoop-dee-do. So, I went for the Abalone Noodles. Seriously, if you call the stall this, you have to eat it right? And it has to be your specialty right? 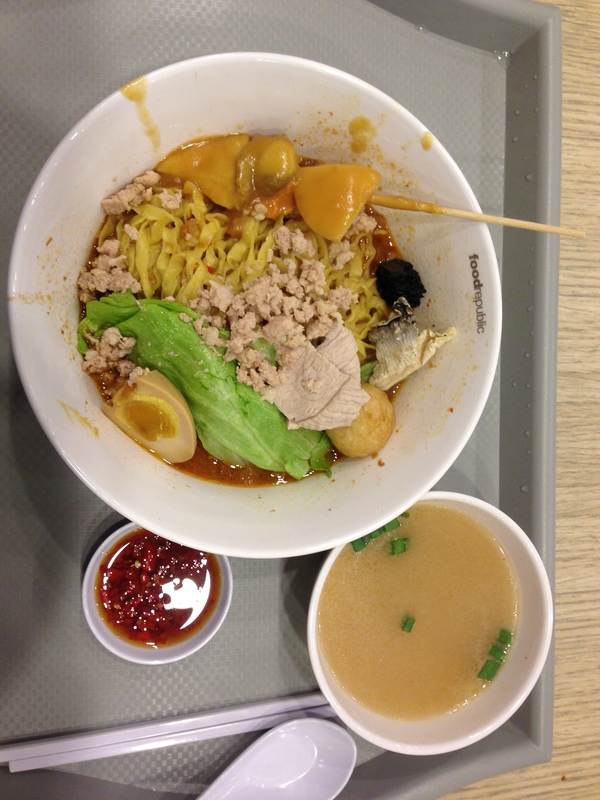 So as you see, it’s Mee Pok, with minced pork meat, a few slices of pork and lettuce. Some fa cai, a piece of fried salmon skin, some fried lard, and an egg which I think was cooked in Soy Sauce, it was soooooooo salty and tasted like soy sauce. Then on a stick you get two pieces of abalone, origin unknown, and one scallop. Yes, that was sarcasm. It was too expensive for the amount given. Lam’s, I will not be queuing at your stall any time soon. Posted in Bak Chor MeeTagged Abalone NoodlesBookmark the permalink.